About a third of Americans live in areas where allergies could be made worse by a combination of high ozone levels and ragweed pollen, according to a new report. The top cities with this allergy-inducing combo -- dubbed in the report as the "Sneeziest and Wheeziest" cities -- include Richmond, Virginia; Memphis, Tennessee; Oklahoma City; Philadelphia; Chattanooga, Tennessee; and Chicago, according to the report from the Natural Resources Defense Council (NRDC), an environmental advocacy group based in New York. The report is one of the first to identify the areas that have both high ozone levels and ragweed pollen. Overall, 109 million Americans live in these areas, the report found. Either ozone smog or ragweed pollen by themselves can trigger allergy symptoms and asthma attacks, but people who are exposed to both tend to become more ill than people who are exposed to only one of these triggers, the NRDC says. What's more, the rising temperatures expected to come with climate change could increase both ozone production and pollen levels, worsening people's allergies, the NRDC says. Other cities that made the top-10 list of the Sneeziest and Wheeziest were Detroit; New Haven, Connecticut; Allentown, Pennsylvania; and Atlanta. Ragweed pollen is a common trigger of seasonal allergy symptoms, which can include sneezing, runny nose and itchy eyes. Rising carbon dioxide levels and temperatures could cause plants, including ragweed, to produce more pollen, and for longer periods. Studies have found that ragweed plants grow bigger and produce more pollen when carbon dioxide levels rise, the NRDC says. Exposure to ozone, a component of smog, can irritate the lungs and worsen asthma and allergy symptoms. Warmer temperatures also enhance the chemical reactions that form ozone, and studies suggest that climate change could also increase ozone concentrations, the NRDC says. The new report found that there were 275 U.S. counties that had at least one day of unhealthy ozone conditions, and had ragweed in the area. The NRDC's rankings also took into account information from the Asthma and Allergy Foundation of America and the American Lung Association. "Together, the ragweed pollen and ozone can interact to worsen respiratory health, making these areas especially vulnerable to a climate change-related rise in allergic and respiratory disease," the report says. Dr. Rohit Katial, program director of allergy and immunology at National Jewish Health in Denver, who was not involved with the report, agreed that the combination of high ozone levels and ragweed can make allergy symptoms worse than can either factor alone. "You get sort of a double hit. It makes your respiratory symptoms worse," Katial said. But Katial disagreed that certain areas of the United States would experience more of an allergy boost than others as a result of climate change. "I think it would happen everywhere," Katial told Live Science. He pointed out that other plants besides ragweed could increase pollen production due to global warming, so people allergic to these plants could experience worsening allergies in areas where ragweed does not grow. The new report focused on ragweed because it is a well-known trigger of allergy symptoms, the NRDC said. To reduce the health effects of climate change, the NRDC recommends that the Environmental Protection Agency strengthen the limits on carbon pollution from power plants, and lower the allowable level of ozone in the air. The government should also improve the way it tracks pollen levels, the NRDC says. 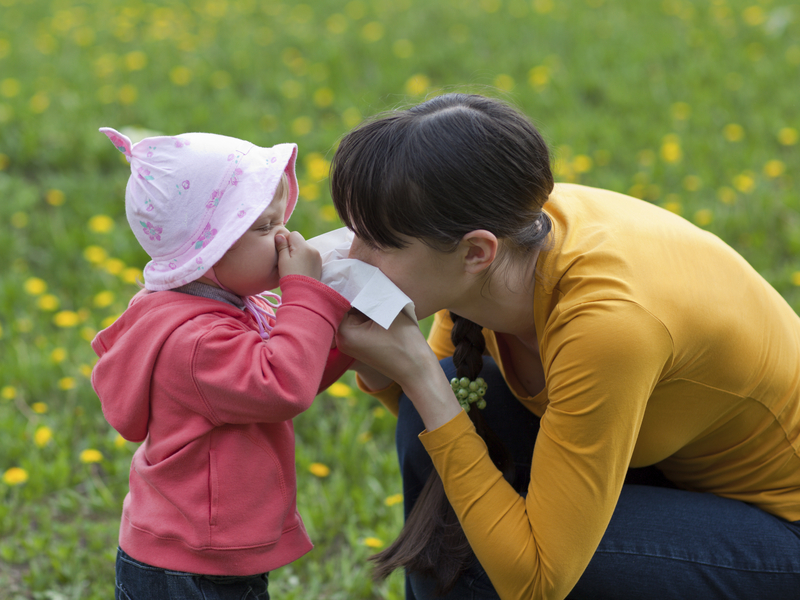 For the public, the NRDC recommends that people keep track of pollen counts in their areas, and keep doors and windows closed on especially high-pollen or high-ozone/smog days. People should also avoid strenuous outdoor activities on days with high ozone levels, or perform these activities in the morning when ozone levels and pollen counts are lower. Follow Rachael Rettner @RachaelRettner. FollowLive Science @livescience, Facebook & Google+. Original article onLive Science.